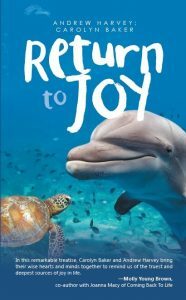 Return to Joy is a compelling and potent invitation to the reader to consider that joy is the ultimate nature of reality and that its absence lies at the root of the current, unprecedented global crisis. In this book, Andrew and Carolyn mine the mystical wisdom of the ages that places joy at the core of our existence and purpose as a species, moving forward to consider in depth the myriad enemies of joy in our time. As we tend the fires of joy, we celebrate its seven flames and nurture its ubiquitous presence whether in the background or the foreground of our lives.